August 8, 2015 (by Jimmy) – A few weeks ago I had a secondary project in Brookhaven, MS. The trip to Brookhaven took me by my uncle’s house near Jackson. When my father died a few years ago, my mother didn’t want to deal with his gun collection and sold all his guns to my uncle. My mom was unaware that my dad had told me that he wanted me to have a specific pistol. It is one of those things that was always in the back of my mind. Since, I’d stop to have lunch with them anyway and the opportunity presented itself, I asked my uncle if he still had the pistol. He did. We were able to arrange a deal, and I was able to bring the pistol home. Not too long ago, Angela got her carry permit from the state of Tennessee, so she was up on what I needed to do to get mine. 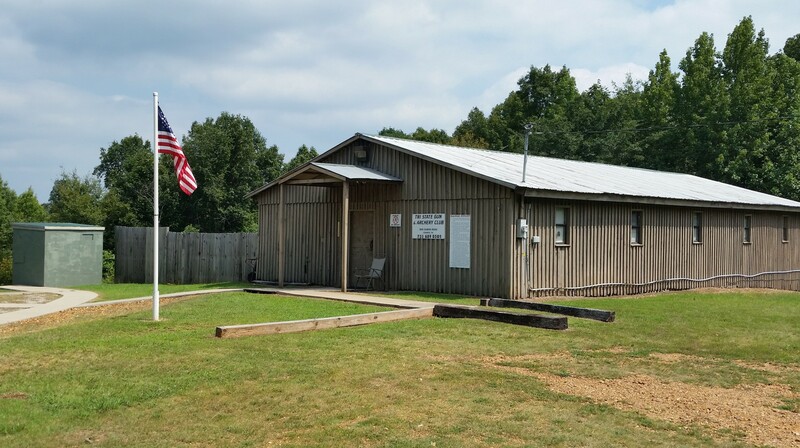 We found a facility near Counce, the Tri-State Gun and Archery Club, that offered the Handgun Safety Course (the first step in getting the carry permit). So I signed up, and today was the day for the course. It started at 8:00 this morning and went all day. 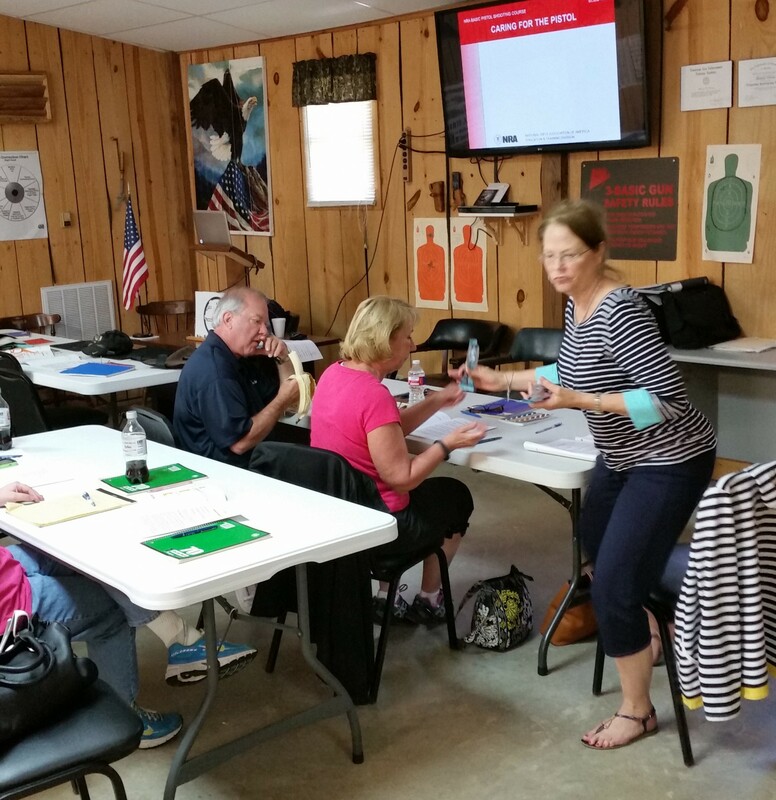 We learned about all kinds of hand guns, ammunition, cleaning and storage, safety, legal issues, shooting fundamentals, and what to expect when we went to the range to shoot. 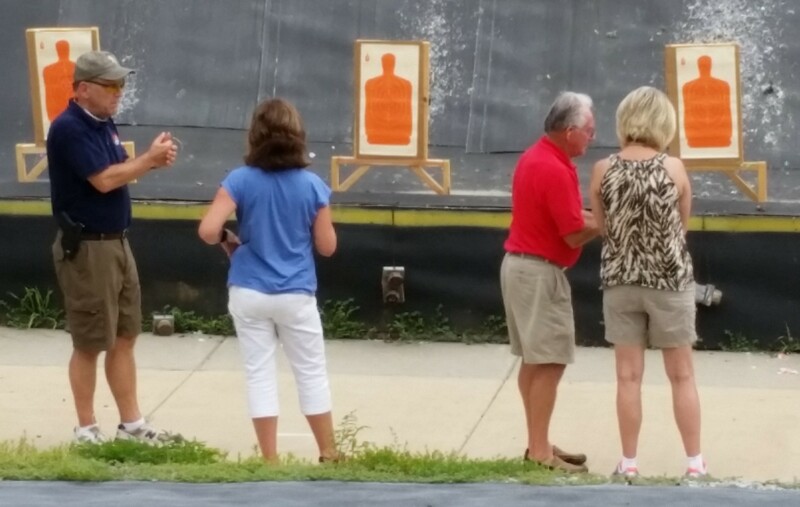 We took a written test over what we had learned during class, and then we went out to the range to shoot. 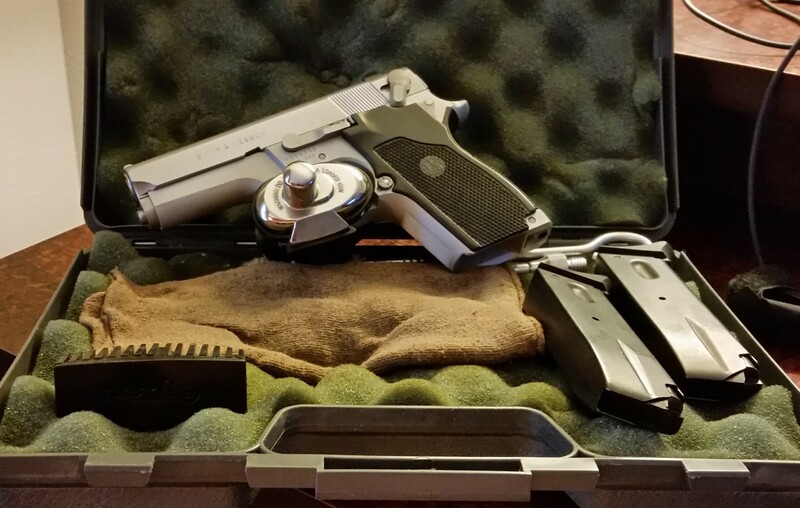 This was the first time I had ever shot my dad’s (now my) gun, so I was a little nervous since it was also the first time since I was in the military, nearly 30 years ago, that I had handled a pistol. This was also the first time I had ever handled a semi-automatic (the kind with a clip not a revolver). Even though there were a lot of firsts, the folks that did the training helped when needed. Like when they showed me where the safety was and how to turn it off so the gun would shoot. We shot 50 rounds, 20 from 3 yards, 20 from 5 yards, and 10 from 7 yards. We shot at a target that had a target inside the shape of a person. If you got a bullet in the target area you got two points, if you at least hit the person you got one point but if you missed completely you got zero. To pass the test you had to get 70 points. It was a great day of learning. It was a blast shooting my new gun. It was enjoyable meeting new folks that share a common goal. However, the most enjoyable thing about the day was that my dad was there with me. He wanted me to have this gun. He would have loved to have taken the course with me. We would have enjoyed talking and visiting all day. I don’t go a day without missing my dad; today he was there with me, that was the best part.